In view of how rapidly the musical landscape adapts to whatever’s making any sort of critical or cultural impact, it’s expected to assume that anything that doesn’t follow those grounds will automatically be deemed as insignificant. Where does that leave a duo like the Dodos, who continue to march forward without showing any signs of shifting their polyrhythmic brand of folk. Granted, the San Francisco duo has always sounded out of time and out of place. The breakthrough success of Visiter in 2008 says more about how we consume any offering that sounds brand spanking new, bringing a sound that was novel at the time despite its quaint setup. Surely, it’s something the Dodos pondered along the way – they always meant to expand their rationalized guitar and drums approach, and for a brief time found their calling with touring bandmate Chris Reimer. His shape shifting dynamics were always the centerfold of short-lived Canadian trio Women; his rickety, yet striking guitar lines a beacon of light in their otherwise self-concealing discography. It must’ve been a case of two opposing parts seeking for one whole. But unfortunately, life has a way of bringing the unexpected, and the abrupt passing of Reimer made an impact in how they view both the ephemerality of life and the role of composition. These two tangents play against each other in Carrier – a first indication of this is found early on in Confidence, in which Meric Long questions the spirituality inherent in loss, bemoaning how his friend got taken from him as a bevy of descending electric-guitar fills spiral with a contagious fervor. But there’s a subtle moderation in hand that underscores the Dodos as much more than virtuosic players – Stranger dashes through in expected order but never at the expense of flaunting any ornamental flourishes, ending with a rousing buildup that feels earned instead of sounding like it was arbitrarily contrived. There’s a lyrical simplicity emanating in Long’s condensed ruminations, “as a stranger/do you see me”, contemplating the fractured connections we establish with others in our daily lives. As it progresses, the thematic nucleus of Carrier begins to unravel with more clarity – in The Current, Long quips with a firm stance, "the precious undercurrent through all this talk, the cracking of the crust, it surrounds my will, surrounds my trust," hitting right on target the conflicts that progressively seethe when words dissolve without meaning. And in the passive acoustic elegy of Death, he takes the place of the deceased, "If I took your place, would it hurt/something to complain about," accepting the natural course of things as he struggles to find peace. Long invokes loss as a universal human experience in all its forms, integrating both the selfish and the selfless in constant battle. Carrier has an inexplicable way of wedging its way into your thoughts, but its solemn themes are never wrought with emotion. It doesn’t seek for any answers as much as rhetorically poses them – the swelling ebb and flow of album finale The Ocean repeats a sentiment we’ve thought far too many times – “I want to be where I want you to be” – as if Long hasn’t learned anything and yearns to linger in the memory. 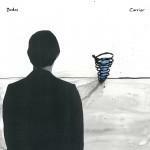 It ends Carrier on a haunting tone, capping a record that settles into the soul with such wistful delight. It marks the triumphant return of a duo many had unfairly written off, or even forgotten, who are usually associated with freewheeling joviality but had never been considered as anything beyond that. There’s still much celebration to be had in Carrier; they just channel it in a way that’s not expected of them.